SlingMedia has released a beta version of its SlingPlayer Mobile TV player for Palm devices, and is looking for testers to review the service. Owners of Palm Treo 700p, 680, 650, or TX handsets can sign up for the SlingPlayer Mobile Palm OS Beta Program to be able to watch mobile TV scheduling through the SlingPlayer Mobile. Prospective testers must have a Slingbox, and an "unlimited data plan is a must", SlingMedia said. "Very happy to announce that we're now accepting applications to the SlingPlayer Mobile for Palm OS Beta Program! Thanks for your patience," reads a message on the Sling Community blog . Testing will begin today, with more beta testers to be added next Monday. 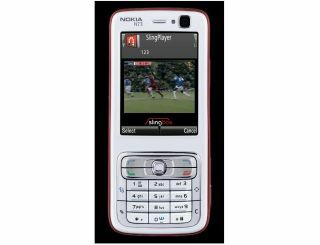 SlingPlayer Mobile is already available on Symbian , Windows Mobile smartphones and Pocket PC handsets.